In the common vernacular, prunella vulgaris sounds like it must be some sort of panacea. 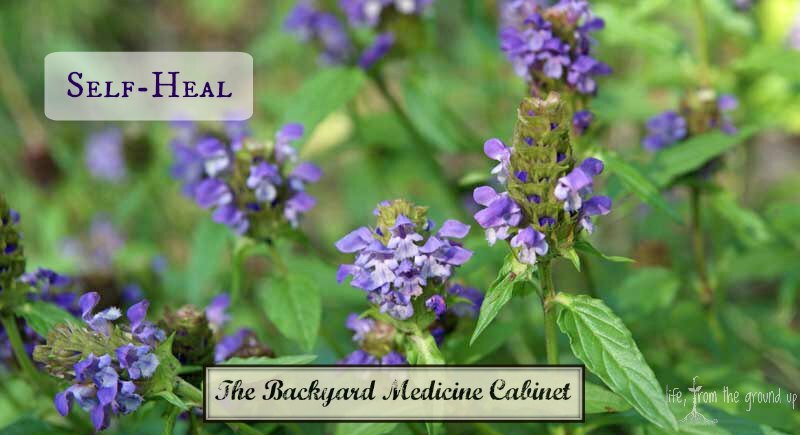 Widely known as self-heal or heal-all, among other things, this plant won’t quite cure everything for you, but it may come close. I enjoy learning the common names of plants: it really gives insight into what past generations may have used it for, and as the name suggests, self-heal was used for a variety of ailments, from sore throats to scrapes. Although it’s mostly fallen out of use in modern times, it’s worthwhile to bring it back into use, and as long as you don’t live in the desert, there’s a good chance that it’s already growing nearby. Like many of our “native” plants, self-heal probably arrived from Europe at some point in the distant past and naturalized itself in North America (and around the world). It’s a very widely distributed herb, and you’ve likely seen it without realizing. It’s a member of the mint family, and although it lacks the fragrance associated with other members, the family resemblance is there: spikes of flowers (purple, in this case, usually under 12″ tall) and opposite leaves (sometimes smooth, sometimes slightly toothed) emerging from a square stem. It likes to grow in damp areas, particularly along streams, in pastures, or other disturbed areas, but can and will grow most anywhere. Once I knew what I was looking for, I found a couple patches in the yard and at the edge of the woods. Thankfully, it won’t spread through those incessant runners like other mints, but does reseed easily. Self-heal is both edible and medicinal. It has been found to contain high levels of antioxidants, and like most mints, has a cooling effect on the body, so it was often used in treatment of mild fevers or inflammation, or just as a general summertime tonic. 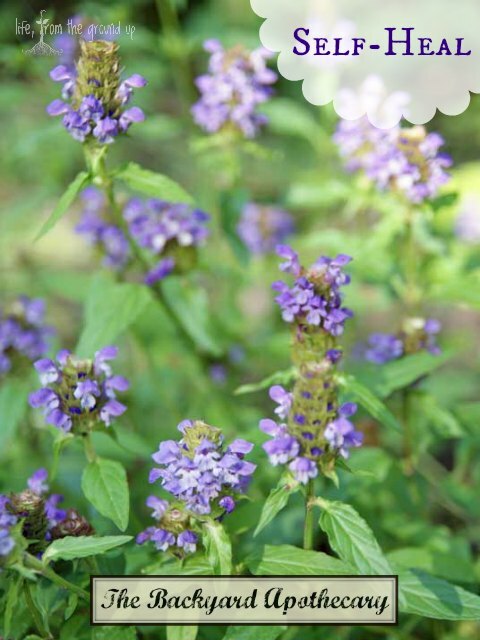 A decoction of self-heal was also commonly used to treat minor skin issues such as scrapes and small cuts, and also internally for sores or ulcers in the mouth or throat. It has also shown some antiviral capabilities, and can be used for mild headaches, seasonal allergies, or colds. Although (and maybe because) it doesn’t have a strong flavor, the leaves and flowers can be added to salads, and I often grab a handful to add to a smoothie. During the summer months, I’ll toss some mint, self-heal, and lavender leaves into a pitcher of cold water for a refreshing and revitalizing drink. Make a strong tea infusion by steeping the leaves and flowers in hot water for an hour or two. Use this to gargle for sore throats, drink it, or dab onto affected skin areas. Mash some leaves to make a poultice to put on your skin. Infuse in oil and combine with other oils to make a healing salve. Is Self-Heal also known as American Germander?